So you'd like to try bike commuting? Good! It's easier than you think! These tips will help you get started. Maybe you haven't been on your bike for a long time. We recommend you visit your local bike shop for a tune up, tools, and tips. Employees at a local bike shop will make sure your bike fits well and works properly and can offer tips on rules of the road, bike routes and accessories. It is a place you can return to for supplies, maintenance, and good conversation. To find a shop near you, check online or better yet, ask a cyclist for a recommendation. Q: Don't I need an expensive bike and specialized clothes? Any bike in good, safe mechanical condition and clothes suitable to the weather will do. You will probably want some kind of storage system on your bike - a rack and panniers work well. Some people like to use a backpack. You will need a lock to secure your bike. And be sure to wear a helmet and have a water bottle to stay hydrated. A small tool kit: patches, an extra tube, a multi-tool, and a frame pump are all handy to have on the ride. Q: What if I'm out of shape? Ease yourself into biking. If you go at an easy pace, you will find biking no more strenuous than walking. And you will be surprised by how quickly your body responds and is capable of more. Q: How can I bike to work with my busy schedule? Consider the traffic on your route and the length of your trip. Many people find that bike commuting only adds a few minutes to their commute time. And they have the added bonus that they have made time for a workout in their busy day. Q: How do I find a good route to commute to my job? Unsure of the best route for your commute? Check our Map of Routes Used by Bike Commuters. Another useful map is the DOT online map. Once on the home page, click on the map navigation link. 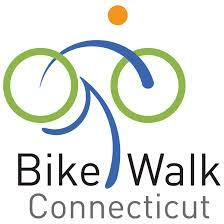 (once there, if you click on "east coast greenways", the map will show some of the trail system.) Online tools and smartphone mapping services (e.g. Google maps for bikes) offer bicycle routes for you to view. Once you have selected a route, test ride it. A weekend or holiday can be a perfect time to take your time and determine if this is the route for you or if you will need to make some changes to find the most suitable route. Q: What are the rules of the road for cyclists? Whenever you are on your bike, remember follow the rules of the road. Bicyclists are required to follow the same rules as cars while on the road. Remember to ride on the right, be predictable, communicate with drivers using hand signals and making eye contact, and watch for road hazards. Your position on the road is key. Ride as far to the right as practicable but do not hug the curb where road debris often accumulates and you are less visible. On narrow roads, you may take the lane so that vehicles are not tempted to squeeze by. Stay far enough to the left of parked cars to avoid being hit by a car door being opened. Be vigilant when approaching intersections – watch for turning cars. Stay in the right most lane in the direction you are traveling (e.g. you should not be in a right turn lane if you are traveling straight through the intersection). Q: There is no shower at my office. Where should I clean up? For a short commute, you may find that you don't need to shower. Often just "freshening up" and changing your clothes is sufficient. Another option if you are changing in a restroom (or large handicapped stall) is to pack baby-wipes or some type of alcohol wipe with your change of clothes. Its also good to keep a spare pair of socks and a deodorant bar in your desk drawer. Q: What about my work clothes? Different bikers use different strategies. Some bike in their work clothes. For a more strenuous commute, you can carry your change of clothes in a pack or a bag on your bike (bike rack with panniers). Or, on non-biking days you can bring several days of work clothes for your bike commute days. Q: What if there's no place to lock up? You might be able to take your bike right up into your office. Check on nearby parking garages, many of them have bike racks. Otherwise, lock your bike to an immovable object, use a cable or U-Lock, and for extra security, be sure it is in a visible location. Stay away from building exits and stairs, or you may block a fire exit and your bike won't be there when you get back. Q: What do I do if it rains? A raincoat and a shot of lube on the bike's working parts will keep both you and the bike from rusting. But don't make yourself miserable, if you don't like to ride in the rain, don't! Q: Is commuting by bicycle dangerous? Like any outdoor activity, there are risks. Don't forget there are also risks involved with driving and most other activities we undertake on a daily basis. Remember, the best strategy for safe cycling is to follow the rules of the road, be predictable and be visible. If you ride when it is dark, Connecticut law requires a headlight and a rear reflector or taillight. wear bright colors and reflective gear to be more visible all day long. Q: How much can I save bicycling to work? Sheldon Brown & Lighting - When it gets dark, you need some lights. Get some tips from Sheldon.